We’re bummed and it’s not even our breakup! Taylor Swift and boyfriend Calvin Harris have called it quits after 15 months of dating, sources confirmed to Us Weekly on Wednesday, June 1. “Taylor is doing OK now, but she was upset,” an insider told Us. “It just wasn’t working anymore,” another insider added. The pair had been having issues before Harris’ car accident on May 20, but the “Shake It Off” singer, 26, was still there to support the 32-year-old DJ. The former couple were first spotted together in April 2015 after meeting at the 2015 Brit awards. They recently celebrated their one-year anniversary with a tropical vacation and even shared rare photos of the getaway on social media. In honor of Swift’s split (and since fans are already wondering if any emotional songs will come out of her romance with Harris), Us Weekly rounded up a few of her best, most powerful breakup anthems. 1. “We Are Never Ever Getting Back Together"
Swift reflected on her romance with Gyllenhaal in this sentimental 2012 song as well, reminiscing about their 2010 Thanksgiving outing. The songstress spent the holiday at his sister Maggie Gyllenhaal’s Brooklyn home. “Left my scarf there at your sister’s house,” she sings of a mysterious scarf that she and Jake both wore during their romance. The Taylor and Taylor split song! The songstress penned the 2010 ballad from Speak Now about her breakup with Taylor Lautner, and it was particularly relatable because she apologized for her behavior in the relationship. “I miss your tanned skin, your sweet smile / So good to me, so right,” she sings of Lautner. “But this is me swallowing my pride / Standing in front of you saying I&apos;m sorry for that night." 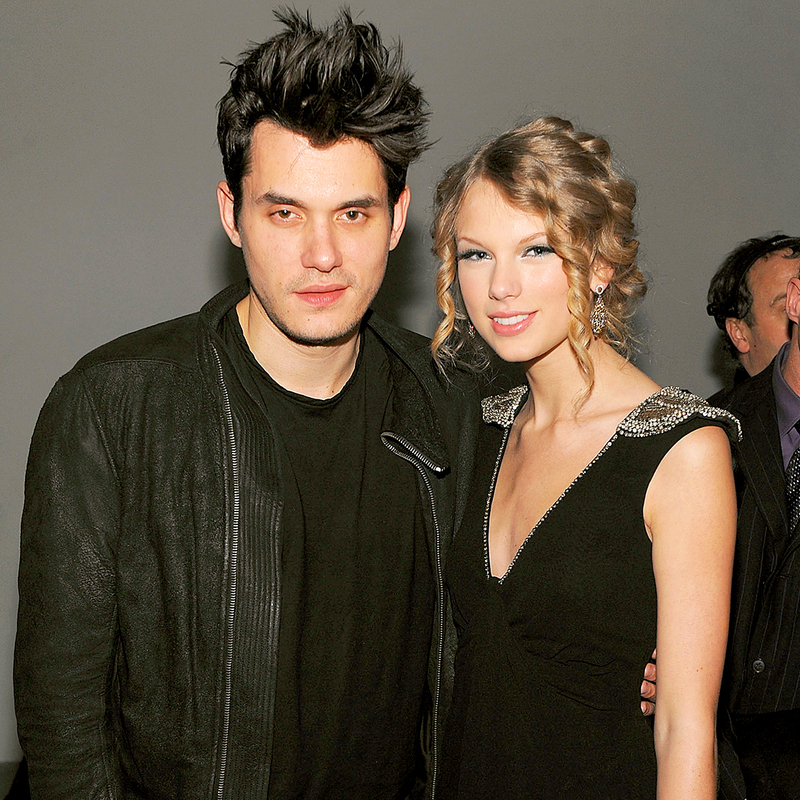 This breakup hit from 2010’s Speak Now was always assumed to be about her relationship with John Mayer in 2009. She was just 19 at the time and he was 31. The song seemed to slam the "Your Body is a Wonderland” singer for messing with her heart when she was still a teenager. “I see it all now it was wrong / Don’t you think 19’s too young to be played by your dark, twisted games? / When I loved you so, I should’ve known,” the lyrics read. Remember when Swift dated Joe Jonas, and he broke up with her in a 27-second phone call? She got the catchy tune “Forever & Always” from her 2008 album, Fearless, out of their young romance. “Did I say something way too honest? / Made you run and hide like a scared little boy?” she penned of the former Jonas Brother. The exes seemed to have patched things up since then, and they’ve occasionally been spotted hanging out in recent years. One of her country classics! From her self-titled 2006 album, the superstar sings about her “wasted time.” While it’s unclear which of her former flames the song is about, the lyrics are the perfect track for the post-split angry stage. “As far as I’m concerned you’re just another picture to burn,” she sings.